Creating a better world is possible. Numerous changemakers around the world are already doing so. The author has interviewed many of them and researched the scientific reasons why some people are more positive, altruistic and successful in everything they dedicate themselves to. This book takes you into the heart of greater fulfillment, engagement and meaning. 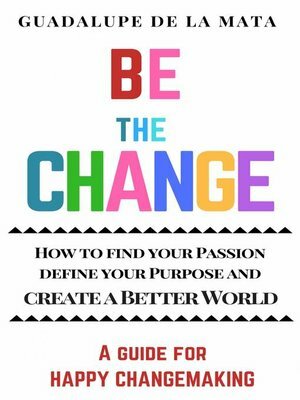 It draws upon cutting-edge research from neuroscience, mindfulness and positive psychology to create a comprehensive guide that will enhance your well-being, so you can inspire well-doing and social change. This book is based on a three-element formula called ESP: Enjoyment/ Self-fulfilment/ Purpose. Using this formula, the author proposes 15 habits and offers a series of powerful tools to experience your life and work as a calling. THE CHANGE YOU WANT TO SEE IN THE WORLD.